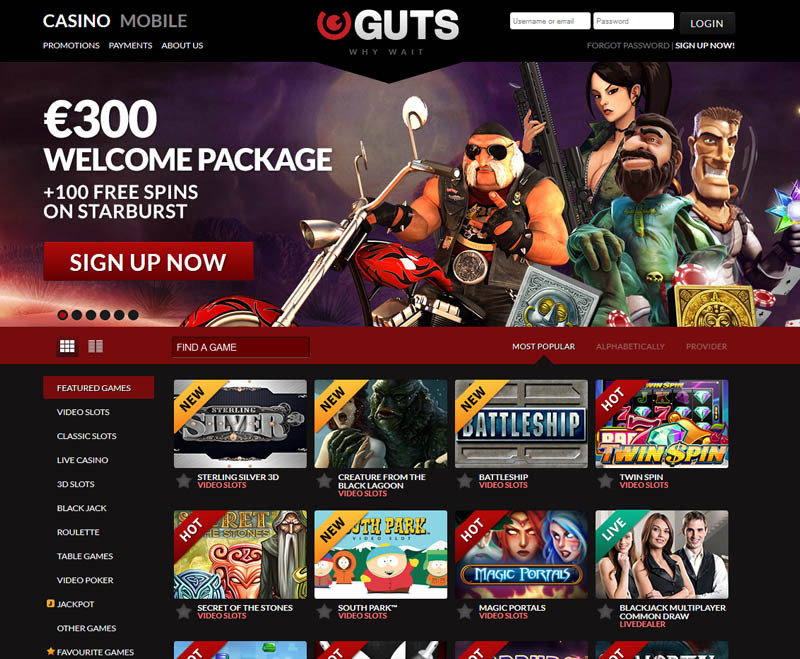 Guts is a quite young online gambling website that offers a nice collection of gaming products, provided by Betsoft, IGT, NetEnt and Microgaming platforms. The interface can be navigated very easily with a system consisting of one wallet option. Only one active account is needed to fully appreciate all the various games coming from multiple software providers. The customer service is always available through any means of contact and can be quickly approached to provide you with any help you will be needing. Many options can be chosen to get the information, either with a telephone number, e-mail address or live chat. The casino has the unique ability to process any withdrawal requests in less than 2 hours, what makes the service even more attractive for the users. All of the alternative options are included in the payment methods that can be used on the website, including prepaid cards, credit cards, e-wallet and other similar preferences. Only for Australia, Canada, Finland, New Zealand, UK, Norway & Sweden. Containing a massive collection of more than over 420 different games, the casino provides plenty of gambling opportunities. 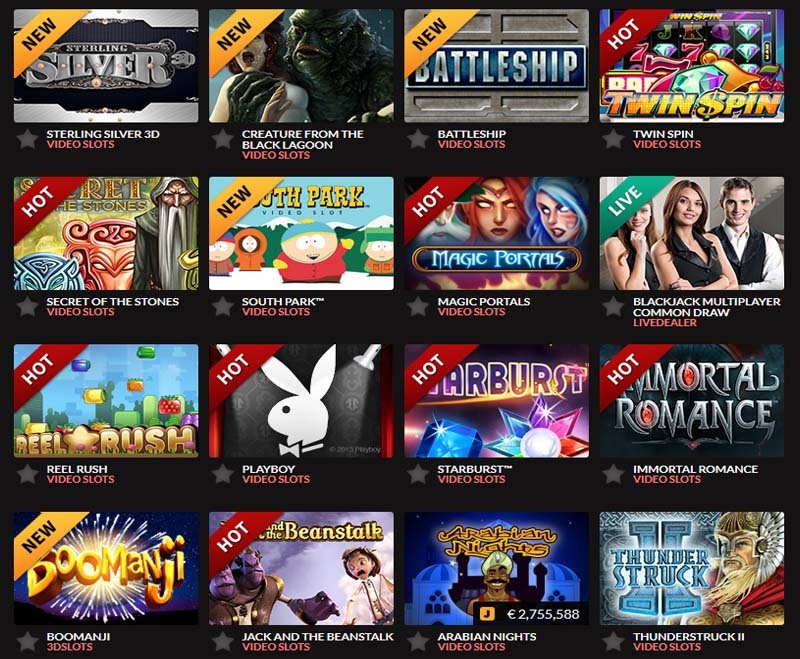 The products are coming from OMI Gaming, IGT, BetSoft, NetEnt and Microgaming, which makes the offer really colorful. With so many platforms to choose from there are plenty of gaming opportunities to score at the them. All of the most popular classic are included in the vast selection of online services, with video poker, table games, roulette, blackjack, video slots, classic slots and plenty others. There are such attractive gaming titles as Tomb Raider, Piggy Riches, Thunderstruck 2, Jack and the Beanstalk, Batman and many more. All of the products are available in instant play mode, which is very useful while playing online. 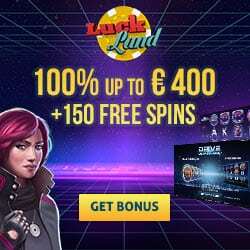 In addition, there is also a mobile platform of the casino available for the mobile devices, that contains all of the favorite gaming options.